Number two of the seventysixth generation, Rafaela and her older sister were the subjects of one of the organizations experiments. 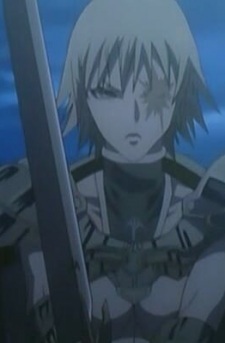 The experiment ended in a horrible failure, in which Rafaela lost her eye, and she left the organization as an inactive Claymore. After a certain event, her skills were needed once more, and she became number five of the seventyeight class, acting as an assassin for the organization.